Expectant mothers tend to book months in advance, book now to avoid disappointment! This pool is perfect for use with your partner. 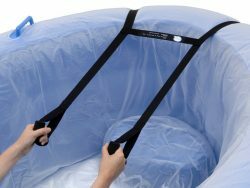 Nice & spacious, this birth pool in a box Professional pool won’t let you down & can be used if you are birthing at home or in the hospital/birth centre. You can use it during labour at home to deeply relax and encourage contractions, whilst providing effective natural pain relief. Water can be very useful during a stalled labour if this is due to stress or anxiety. Sometimes the change from water to walking can also be useful in moving things along. 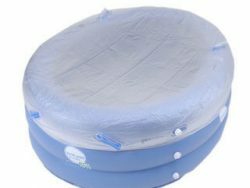 We offer birth pool hire of the Luxurious Eco-friendly Birth Pool in a Box Pool PROFESSIONAL GRADE POOL with cup holder for your home birth or water birth of your baby. This birthing pool is provided clean and sterilised. 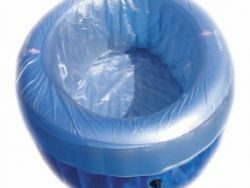 Our pools and liners are made from a special vinyl that is eco-friendly and non-toxic. 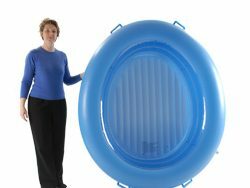 The Birth Pool in a Box is super sturdy so you can have a support person sit on the side, it provides a seat and plenty of room for a support person to join you in the pool and it is extra deep for a wonderful feeling of buoyancy that supports and eases your labour. 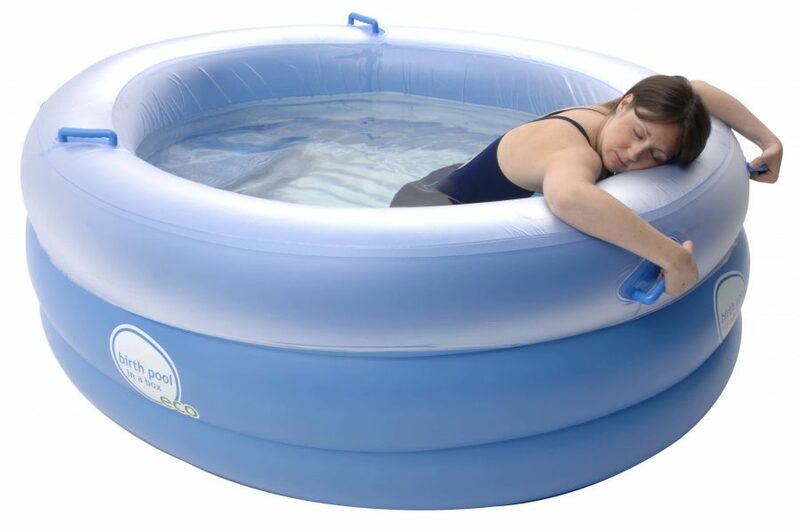 Click here to read the full specifications of the Birth Pool in a Box Pool. Pick up in Waiuku, South Auckland or we can have it couriered to & from you anywhere in New Zealand for free! Please see birth pool hire terms & conditions for more information. By hiring our Birth Pool you agree to these terms & conditions.